In 1993 I used to live in Beirut, close to the southern suburbs, Hezbollah’s stronghold. In the spring of that year, I began to get a toothache so I decided to visit my dentist as in common in that part of the world. The dentist was connected to Hezbollah and was reported to be in charge of their top secret dental work, and he was both good and reasonably priced. But when I walked in that day, he wasn’t there and instead a stocky man wearing a baseball cap told me that he’s the dentist’s brother and although he wasn’t technically a dentist he was sitting in for his brother who was out on a carpet-buying emergency. I found that strange, but allowed him to treat my tooth, and he did an excellent job. Little did I know that this is Imad Mughniyeh, one of Hezbollah’s most notorious but completely unknown operatives. In fact, I still don’t know that until today. But the late Mughniyeh was like that, a man of mystery and random appearances to fill in for other people in their shops despite being on the run from every western and Israeli intelligence agency and leading a life of complete secrecy. When I read Mark Perry’s article about him in Foreign Policy, I decided to write my own story about him, because it is as interesting and true as Perry’s. Future generations, and some of the previous ones, should hear this story. Mughniyeh was often described as the most dangerous terrorist not named Osama bin Laden or Zsa Zsa Gábor. Nobody knows why those two in specific, but phrasing things like that makes him sound even more dangerous and lethal. And the man was lethal. That is, if he ever existed. It is generally agreed that he is responsible for every major terrorist attack before 9/11, the Indian Ocean tsunami, a few earthquakes and France’s loss to Italy in the 2006 World Cup Final. The latter he organised purely to irritate his cousin who was a France fan, that is how evil he was. Three years later, I was in Damascus to buy some cotton underwear, which is a type of undergarment common in that part of the world. But while I was walking in the ancient and mysterious souk I had taken a wrong turn and somehow ended up near the Iranian embassy. To my surprise, who did I spy standing right outside the embassy waving a key chain in his hands? No, not Mughniyeh, but a man who told me where I could find him. I know this is a completely improbable turn of events, but please remember that this is an extraordinary man we are talking about. I followed the directions the man had given me, and came to an ice cream shop where my old friend from the dentist’s was standing behind the counter. I expressed my surprise about seeing him and he explained that the shop belonged to one of his cousins and his was filling in for the afternoon because his cousin had tickets for the ballet. His explanation convinced me and I bought an ice cream from him, and I noticed that he filled it quite dexterously. I realised this was a man used to wiring bombs. As I walked away, I realised that the man cast no shadow, but I took that to be because he was from a different religion. Mughniyeh’s mythical status was growing meanwhile. A CIA contact I met in Kuala Lumpur at a professional ethics conference told me a few stories about him over a few glasses of beer. There were tales of daring escape and mysterious disappearances. The time when the CIA thought they had cornered Mughniyeh in a flat in Limassol, but when they raided the flat there was no trace of him. In their arrogance, they had forgotten to look under the bed. And the time that Mughniyeh had eluded the CIA by shaving his beard, thus confounding their cultural stereotypes about terrorists. Mughniyeh’s training in post-colonial studies was certainly helping him evade those trying to track him down. Over the years, I came across Mughniyeh in various situations, but never knew he really was. Then in 2008 he was assassinated mysteriously in Damascus but the perpetrators were never found out. Assassinations are often carried out mysteriously in the Middle East, for cultural reasons that are very hard to explain. This conveniently allows one to come up with interesting theories about who carried out the assassination and create alternative explanations that are certainly more entertaining than the ‘truth’. Thus, it would be logical to assume that the Israelis or the Americans murdered Mughniyeh, but the Americans had tried to assassinate him with several non-terrorist car bombs before and failed. It was generally assumed that the CIA’s incompetence had somewhat interfered with their ability to track down and assassinate Mughniyeh, and the operation also lacked the CIA’s trademark large collateral damage. The Israelis might have been behind the assassination, but that would be far too straightforward, which makes it a completely implausible explanation. I will not pretend that I have a full explanation, but a source that I met last year in Italy and who shall remain anonymous hinted to me that the key to Mughniyeh’s assassination was very simple. “Philip, he said, (I don’t know why he called me Philip), think about it, if the assassinated man wasn’t Mughniyeh, who would you think was behind it?” And then I understood. 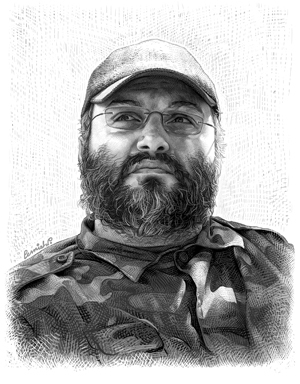 Imad Mughniyeh was responsible for his own death! Nobody else could have planned an operation like this, right in the most secure area of Damascus. Mughniyeh’s last act was plan his most mysterious operation. It is entirely in keeping with this mythical image of the man we have created. Really if you are cleaning your teeth regularly dental marketing site then it may help to prevent most of the dental problem. Thank you. Philip's story is feel like the story of a legend. Interesting story is written by Philip. Thanks for your good and memorable time with us. When I visit my dentist in Vernon Hills it's much more boring, thankfully. The dentist’s staff provides professional emergency care as well. I have recommended my dentist to others who are now long term patients like myself.